On a snowy winter day, few activities are more relaxing than curling up in a blanket in the warmth of your home. However, that cozy feeling can quickly become disrupted if winter snows leave you needing roof repairs. Here are a few common issues that homeowners should watch out for as they try to keep warm during the winter. When gutters aren’t properly cleaned during the fall, leaves and other debris can create massive clogs that trap water. When temperatures dip below freezing, that water turns to ice, forming problematic ice dams. 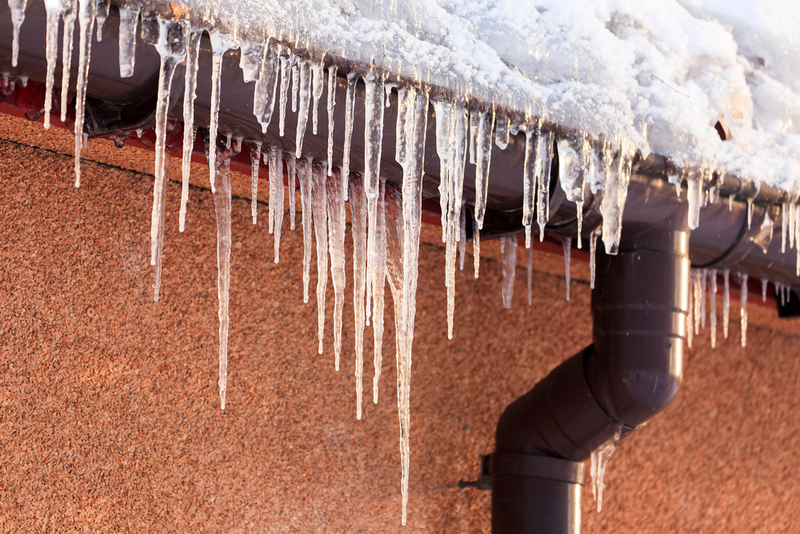 This ice weighs down gutters, increasing the risk of sagging and other structural issues. Ice dams also increase the risk for leaks in the roof, siding, and foundation. Gutter protection installations can go a long way in preventing these issues by keeping out leaves and twigs. Heavy snows and strong winds often break tree limbs during winter storms. If a tree is too close to the house, those branches can fall, resulting in significant structural damage and the need for roof repairs. Even a seemingly minor scrape from a tree branch can tear off shingles. You can prevent such damage by trimming tree branches away from the home. When damage does occur, a prompt response is necessary to reduce the risk of future leaks. Attic insulation is crucial for keeping heat trapped indoors during the winter. Homes with inadequate insulation, or no insulation whatsoever, will see energy bills skyrocket as families try to keep warm. New insulation will help reduce energy bills and eliminate uncomfortable cold spots in the home. Don’t wait if you find yourself needing winter roof repairs, and contact Ray St. Clair Roofing today. Serving the Greater Cincinnati, OH, area since 1954, their experienced contractors are held to the highest industry standards by an in-house quality assurance team to ensure consistent results. To learn more about their services, visit them online, or call (513) 874-1234 to schedule roof repairs today.